In January when President Obama announced a reduction in Federal Housing Administration mortgage insurance premiums that would save new borrowers an average of $900 annually, an FHA mortgage once again looked like a great deal. It still is for some people, though low- to moderate-income home buyers shouldn't let the 0.5 percent drop in insurance fees be the only factor in deciding which government-backed loan is best for them. Conforming loans through Fannie Mae and Freddie Mac had just previously had their own minimum down payments dropped to 3 percent. The FHA, Fannie Mae (Federal National Mortgage Association) and Freddie Mac (the Federal Home Loan Mortgage Corporation) do not make home loans. These agencies insure loans that lenders make, resulting in banks making more home loans than they would otherwise. FHA loans require a minimum down payment of 3.5 percent, no matter what the property type - single-family home, condominium, two- to four-unit complex, or something else that must be used as the primary residence. However, an annual fee of 0.85 percent will be added to the mortgage, which we'll get to next. A conforming loan through Fannie or Freddie can have a down payment as low as 3 percent, though only up to $417,000 and the borrower must be a first-time homebuyer. There's no additional up-front fee. Both loans require mortgage insurance, which repays the loan if the borrower defaults. The difference between the mortgage insurance requirements in the programs may be one of the biggest deciding factors over which loan to get. FHA mortgage insurance fees were raised five times from 2010 to 2013 because the FHA fund had losses when loans weren't paid back. The mortgage insurance premiums, called MIP, were dropped in January from 1.35 percent to .85 percent per year for 30-year fixed loans up to $417,000. There are a few caveats to that low MIP. The main one is that the .85 percent annual fee is in place for the life of the loan, which "would be kind of a deal killer" for many people, says Joe Parsons, a senior loan officer at PFS Funding in Dublin, Calif. Also, the mortgage insurance isn't tax deductible. 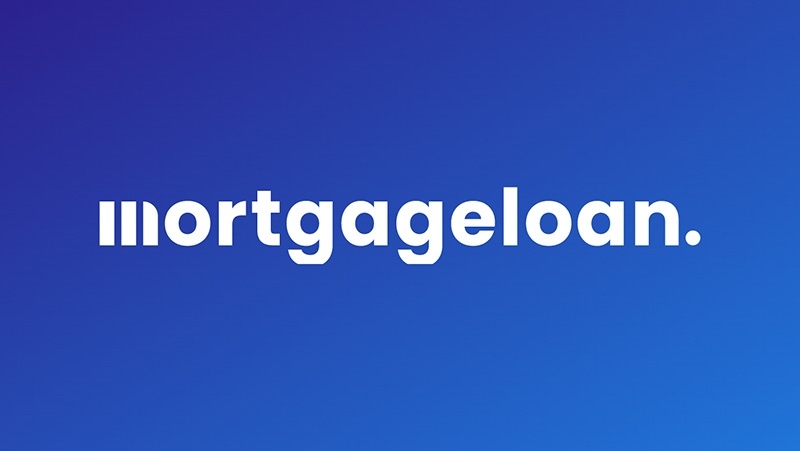 FHA also charges a one-time 1.75 percent mortgage insurance premium at closing - $1,750 per $100,000 borrowed - that can be paid in cash or added to the loan amount. For a $400,000 home, Parsons says an FHA loan with 3.5 percent down would have monthly mortgage insurance of $278 for the life of the loan. Fannie and Freddie require private mortgage insurance, or PMI, of about 1.05 percent per year for 30-year loans up to $417,000 with 3 percent down, but it can be eliminated in as quickly as two years if the loan is paid down to 78 percent of the home purchase price. In addition, part or all of the cost of the insurance is tax-deductable if your household adjusted gross income is no more than $109,000. A higher credit score will help with conforming loans because they offer "risk-based pricing," Parsons says. In other words, the higher your credit score, the better interest rate you'll likely get with a Fannie or Freddie loan. A higher credit score on a Freddie Mac loan allows a borrower to have a higher loan-to-value ratio, he says. A 740 credit score, for example, can lead to a loan-to-value, or LTV, ratio of 97 percent, versus 80 percent for someone with a 620 credit score. FHA doesn't adjust the interest rate for low credit scores, which can make an FHA loan more appealing to people with poor or average credit. It can make more sense to get a conforming loan through Freddie Mac if you have a good credit score, Parsons says, because you'll be able to drop the private mortgage insurance in a few years. The mortgage insurance will be higher than it would for an FHA loan, but it's only higher temporarily. For a borrower with a 760 credit score, a Fannie Mae loan on a $400,000 house with 3 percent ($12,000) down, will pay 1.05 percent PMI of $340 per month, compared to $278 per month for the life of an FHA loan, Parsons says. If the Fannie Mae borrower had a worse credit score of 620, their mortgage insurance would increase to $479 per month, he says. Most conventional lenders won't finance anyone with a credit score lower than 620, says Rich Leffler, director of mortgage origination training at AxSellerated Development near Baltimore. FHA, on the other hand, doesn't look at credit scores but looks at the overall credit profile, Leffler says. The FHA does have two exceptions, however. The minimum down payment requirement increases from 3.5 percent to 10 percent when the credit score is 580 or less, and the FHA won't finance anyone with a credit score of 500 or less, he says. Conventional financing will generally require four years of post-bankruptcy discharge for a loan approval, Leffler says. FHA loans generally allow two years of post-bankruptcy discharge with re-established credit, he says, adding that there are some exceptions when conventional lenders will also allow for two years. FHA will allow a non-occupying co-borrower, while conventional loans won't, says Leffler, who once originated a loan for a recent college graduate who was buying his first home but couldn't qualify on his own. His father agreed to co-sign. "Since his father was not planning on residing in the purchased property, we could not use conventional financing," Leffler says. FHA loans are also easier to finance condos because the owner occupancy ratio for an FHA loan doesn't have to favor owner units to rentals as it does with non-FHA loans, says Bob Gordon, a real estate agent at Berkshire Hathaway HomeServices in Boulder, Colo.
For a borrower with good credit, Fannie and Freddie loans may make the most sense if the mortgage insurance is removed within a few years by having 20 percent equity in a home. An FHA loan would require a little more of a down payment, but a top credit score isn't needed to qualify. It's a discussion worth having with a loan officer.